Designed by outdoorsmen and backpackers, the Field Knife should be part of your bare essentials on every adventure. It’s lightweight design sets a new standard for affordability and durability in outdoor fixed blade knives. The clip point stainless steel blade measures 4.0-inches long with a straight edge. A soft thermoplastic rubber handle make it the right and safe choice for quick meal prep and camp chores. 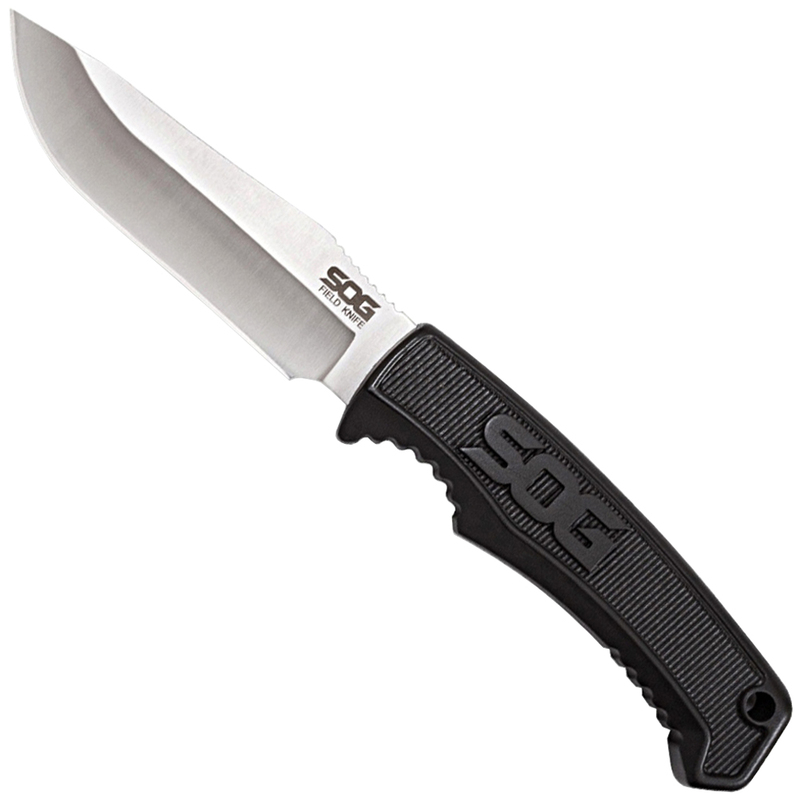 The Field Knife comes in a GRN sheath with a belt clip as well as secondary attachment points. The sheath features a notch for cutting paracord or fishing line without the need to expose the whole blade. Pack the Field Knife for all of your outdoor adventures.